Cloud hosting has been making waves in the Internet world these days. It seems like everywhere you look there's another ad or internet expert telling you how you need to get on the cloud. What is this cloud? Why do I need to be on it, if at all, can it benefit my business? Let's take a look at just what defines the cloud, its billing structure, and who will benefit the most from it. Cloud hosting is a website hosted on multiple servers acting as one system. This guarantees your server's resources processing power virtually unlimited. Although the idea of cloud hosting has been around for some time. With recent technological advances have we been able to realize it as a viable hosting option. Dedicated and shared hosting you are relying on one server to process all user requests. Most of the time this is fine until a traffic spike comes in. Then you are required to spend extra money to upgrade your server to handle the increase. This is where cloud hosting can help if your site has strong traffic spikes. Instead of spending money to upgrade a server and only need your full resources ever so often. Cloud hosting can spread the load between multiple servers. This can even help site speed and loading time. With having access to multiple servers across the nation. When a visitor accesses your site they will be sent to the closest server to their geo-location. There are two types of cloud hosting billing. There are your typical monthly billing. Where you are billed per month for a certain level of resources and bandwidth. Then there is metered billing. Some cloud hosting providers will do metered billing. This is where your statement is going to look a lot like your electric bill. You only pay for what resources and bandwidth you use. When you tap into the cloud the meter starts to run. The more servers and bandwidth your site uses the higher the meter goes. For those who need extra resources on traffic spikes, just pay when your site needs them. With a vast array of cloud hosting providers on the internet, here are a few easy options. They all have a set of features, resources, and bandwidth, with one simple monthly cost. Lunarpages is one of the cheapest VPS hosting companies that you will find. They don't have any hidden fees, like setup, a control panel, and dedicated IP address. You get all of these great features included with your base price. 1&1 is a nice mix of both resources and pricing. Their standard plan comes with full managed services with dedicated resources. Including an SSL certificate, unlimited traffic, and SSD storage. BlueHost is the most affordable plan on the market but limits your access to the server. It does come fully managed, instant scaling, and has integrated caching. HostGator has some fast low-end cloud hosting options. Speeds up to 2x faster than their shared hosting plan. With premium hardware, resource management and multiple caching layers. As it is right now I wouldn't recommend cloud hosting for small sites. These types of sites could get by with a shared hosting plan or a VPS server. 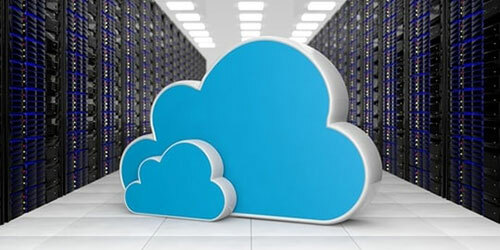 Cloud hosting is best for larger websites that are receiving high amounts of traffic. I think cloud technology and hosting is something really interesting. Users will love to experience that is quick and gives them more space to store their data. And as the cloud server is actually on several connected servers, it gets easy for users to access their their data in less time. The popularity of cloud technology is increasing by every passing day.As shared in the blog the technology is highly useful for larger website, having unpredictable traffic sites, and receiving lots of traffic. Thanks for sharing so useful information.